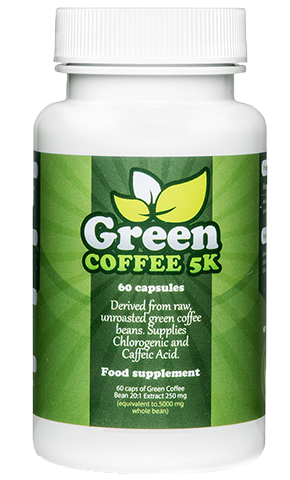 Due to the high demand for Green Coffee 5K our supply will run short soon. Do not wait and place your order now! Buy 3 Items - GET 3 FREE! Buy 2 Items - GET 1 FREE! 1. Orders for products can be made only through the website. 2. Orders are accepted 24 hours a day, all year round. 3. Orders which are being placed on weekdays after 11am (EST), on Saturdays, Sundays and holidays will be processed on the next working day. 4. A necessary condition for the realization of the order is to provide the correct application of data on the website. A phone number and / or e-mail address is required to confirm acceptance and realization of the order. Orders which can not be verified within 3 working days will not be realized. Each accepted order will be confirmed by phone or via email. 5. Orders for which there is any doubt, will be verified by the shop - the order may be canceled by the store. A customer will be informed of this fact. 6. Ordered items will be delivered by post / courier – the time of realization of the order is approximately 7 working days. This time may be extended.The customer is informed about the lack of goods in the warehouse and about the increase in the duration of the contract. If the customer does not agree to extend the term of the contract, he can cancel the contract or resign only from the position which extends the duration of the contract. 7. The offer is not a trade offer but only an invitation for placing orders by consumers. 8. Despite the best efforts we can not guarantee that the published descriptions of the products do not contain any imperfections and are free of errors, and therefore they can not be a basis for any claim. 9. The company Key Player Limited reserves the right to refuse to perform the order without a fixed reason. 10. If you buy goods which price is entered incorectly by the shop or by server error you will be informed of this fact, and the order will be canceled. 11. Orders are executed in Europe, North America, South America, Australia, Africa and Asia. 12. The personal data provided to our company when pacing an order are processed only by the Key Player Limited, Dubai Airport Freezone, Building 6EA, Dubai, United Arab Emirates. The personal data are not disclosed to third parties for marketing purposes. 13. In the case of prepayment, the goods are shipped when the amount of the order will be fully paid ( 100% ) into the Shop's bank account. 14. Because Key Player Limited only sells products by mail order, the customer may at any time withdraw from the transaction within 10 calendar days from the date of purchase of goods - that the returns must be preceded by a written statement. Goods can not bear traces of use and must be pre-packed. 15. The legal regulations of United Arab Emirates concern Key Player Limited company. Thanks to it we can offer you the higher standards of service and the best products in the world. The application of EU law is not possible. 16. The Headqarter of Key Player Limited is located in United Arab Emirates. All transactions are realized through localized servers in the United Arab Emirates. Security problems, violations of the law, intellectual property law are regulated by the UAE. All other matters concerning the access to the site and its use are regulated by the UAE law. Any legal proceedings / court regarding access to the site and its use will take place in the United Arab Emirates. In the event of any procedures / legal proceedings you agree to the subordination of jurisdiction of the competent court of UAE. 17. You agree to the acceptance of the regulations while placing an order through on the website. 18. The payment refund guarantee in the case of lack of customer satisfaction covers only selected products from the offer. Money will be refunded only for the first order, only one order per person / household / family will be refunded, the refund does not include shipping costs. A refund is possible only up to 90 days of sending the goods to the customer. All packaging (including used packaging) must be returned to the company's address. Please remember that if you receive confirmation on the possibility of returning the goods, the packages must be returned within 30 days. The non-fulfillment of these conditions will result in the repeal of the warranty and the refund cancellation. 1. This Privacy Protection Policy sets out the rules for the processing and protection of personal data obtained from Users when using the GreenCoffee5K.co.uk website operating at the Internet address http://greencoffee5k.co.uk, (hereinafter the "Website"), made available by Key Player Limited based in the United Arab Emirates, under the address: Key Player Limited, P.O. Box 231351, Dubai, United Arab Emirates. 2. The "User" in the understanding of the Privacy Protection Policy means a natural person using the Website. 3. Using the Website is equivalent with the User expressing consent to the terms and conditions described in this Privacy Protection Policy. 1. Pursuant to the Regulation of the European Parliament and of the Council (EU) 2016/679 of 27 April 2016 on the protection of individuals with regard to the processing of personal data (the "Regulation”), Key Player Limited based in the United Arab Emirates, at: Key Player Limited, P.O. Box 231351, Dubai, United Arab Emirates (hereinafter referred to as the Privacy Protection Policy: “KeyPlayer Limited”), informs that it is the administrator of personal data provided by the User in connection with or while using the Website. Personal data is processed in accordance with the Regulation, and in the cases required by its content, with the consent of the User. 2. Key Player Limited only collects data that is necessary to enter into sales-purchase agreements, provide answers to questions sent to Key Player Limited, marketing of its own services and sending information about its products and services. payment data (including account number and an abbreviation of the credit card number). 4. In cases required by the provisions of the Regulation, the User's consent to the processing of their personal data takes place in electronic form, by marking the appropriate box during placing an order or other activity on the Website. The User may at any time withdraw consent to the processing of personal data. 5. Providing data marked on the Website as required is voluntary, but necessary to enter into an agreement and and for the delivery of goods to the User. If the User does not provide the required personal data, it will not be possible to register the User on the Website or to enter into an agreement and deliver goods to the User. 6. The basis for Key Player Data to process personal data provided by the User is the need to perform the agreement, and, at the request of the User, take the necessary actions before entering into it (article 6 (1) (b) of the Regulation). In the case of marketing its own services and Key Player Limited sending information about its offer to the email address provided by the User, the basis for processing the personal data of the User is the implementation of the legitimate interest of Key Player Limited (article 6 (1) (f) of the Regulation). Data processing for the purpose of Key Player Limited providing information about its products enables the User to be given information about the current offer. In the case of providing the Newsletter to the User, the basis for data processing is the User's consent (article 6 (1) (b) of the Regulation), which the User may withdraw at any time. 7. The User's personal data will be stored in a form allowing the User to be identified User no longer than it is necessary for the purposes for which the personal data is collected and processed in accordance with the law. Personal data will therefore be kept for the period necessary to implement the sales-purchase agreement. After this time, the data will be processed for the period necessary to resolve any potential disputes, e.g. related to claims (this period will include the limitation period for claims under the contract, in accordance with the applicable provisions). 1. The User has the right to access the content of personal data and the right to demand the supplementing, updating, transferring, limiting processing or rectification of personal data, temporary or permanent suspension of its processing or its removal if incomplete, out-of-date, untrue or if it has been collected in violation of the law or it is no longer needed to achieve the purpose for which it was collected. 2. In the case of processing the User's data for the purpose of marketing its own products and services, the User may at any time submit a written and motivated request to cease processing their data due to their special situation or to object to the processing of their data for this purpose. 3. Key Player Limited enables the User to delete their personal data from the filing system at the request of the User or pursuant to the provisions of the Regulation. 4. Key Player Limited may refuse to delete personal data if the User has violated the rules of the Website or applicable law, and the retention of personal data is necessary to clarify the circumstances of the breach and determine the User's liability. 5. If the User places any personal data of other people on the Website (including their name, address, telephone number or email address), they can do so only if they do not violate the applicable law and personal rights of such persons. 1. In order to secure the User's personal data against unauthorised access, collection by an unauthorised person, processing in violation of applicable laws and change, loss, damage or destruction, technical and organisational measures are applied to ensure that personal data being processed is protected appropriately in accordance with the risks and categories of data protected. 2. In particular, the Administrator uses technical means to prevent unauthorised persons from acquiring or modifying data. In addition, the data provided by the User when completing and submitting internet forms is encrypted by the use of SSL certificates. 1. Key Player Limited reserves the right to make changes to the Privacy Protection Policy and at the same time ensures that the rights of the User arising from this document are not restricted without their consent. Any changes to the Privacy Protection Policy will be published on the website http://greencoffee5k.co.uk.